This month, Los Angeles viewers can catch martial arts classics on the big screen as the Laemmle Theaters proudly present a Kung Fu fueled February of Throwback Thursdays with The Legend of Drunken Master, Bloodsport, Kung Fu Hustle and Enter the Dragon! 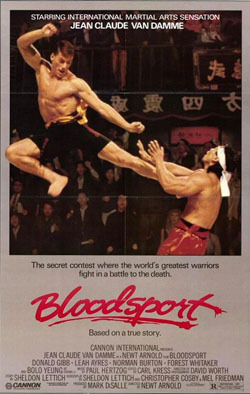 On Thursday, February 11th at the Laemmle NoHo7, Bloodsport co-writer Sheldon Lettich will attend for a post film Q&A. If you were in the audience during our Van Damme Triple Dip at The New Beverly in 2014, you know the man has great stories about Cannon Films, movie inspiration/tale teller Frank Dux and of course, star Jean-Claude Van Damme himself. One of the most popular titles in the martial arts genre, Bloodsport tells the then thought to be true tale of Frank Dux, American military operator, fighter and ninja. Trained as a teenager by the brutal Shidoshi Senzo Tanaka (Roy Chiao), JCVD's young Frank Dux travels to exotic and dangerous Hong Kong to participate in full combat at the Kumite with the world's greatest warriors. Befriending funny giant Ray Jackson (Donald Gibb) and bedding spunky journalist Janice Kent (Leah Ayres), Dux punches, kicks, splits and screams his way to the finals against reigning champion Chong Li (the massively pec'd Bolo Yeung). Bloodsport was Van Damme's first starring role and launched him to worldwide fame and million dollar paydays. 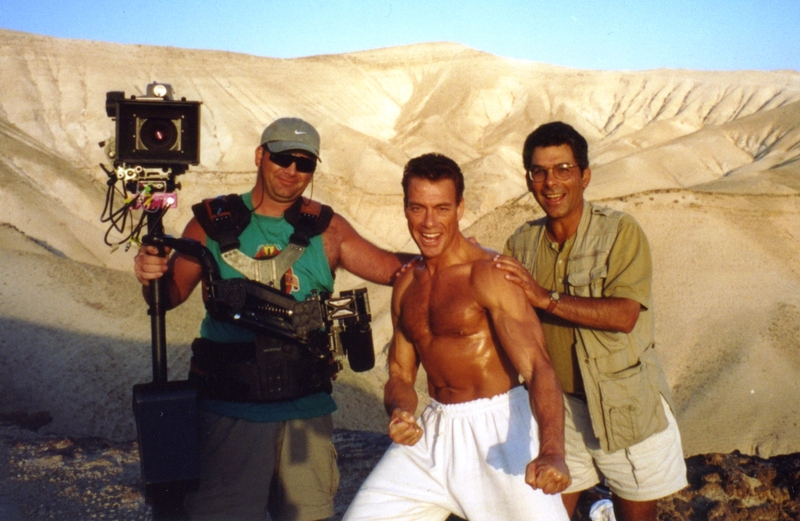 But it was nearly not to be after a rough cut was deemed unwatchable by Cannon producer Menahem Golan who did not believe JCVD was star material. Begging for a chance to recut the film, Van Damme and editor Carl Kress reworked the Newt Arnold directed, Christopher Cosby, Mel Friedman and Sheldon Lettich scripted flick into the influential hit it became. After opening at number one in France and Malaysia, Cannon released the film to American audiences in 1988 where it became one of their top grossers. Van Damme's star appeal is on full display between his eager earnestness and physical prowess displayed via shirtless scenes, jumping spin kicks and performing the splits 7 times. Multiple fighting styles like sumo, boxing, muy thai and karate are showcased, set to Paul Hertzog's terrific synth score and songs by Stan Bush and Michael Bishop. Bloodsport would go on to influence video game behemoths Street Fighter and Mortal Kombat, professional fighting sport the UFC and superstar athletes like Georges St. Pierre and Mirko CroCop. Of course Jean-Claude Van Damme would go on to box office hits, global notoriety and big salaries for Kickboxer, Universal Soldier, Timecop and Street Fighter. The young actor struck up a friendship with former Marine Lettich, who would co-write Rambo III for Sylvester Stallone and work with Jean-Claude on half a dozen films like Lionheart, Double Impact, Legionnaire and The Hard Corps. Most recently Mr. Lettich was seen in the Cannon Films documentary Electric Boogaloo and co-wrote summer success Max with friend Boaz Yakin. I hope you're body's ready, your heart's on fire and you're ready to push it over the wire! Tickets and info HERE. Online seller Goldstar has a few discount tickets HERE.